Last Saturday I attended a 3D needle felting workshop in Heighington run by Robyn Smith of Feltybits. Robyn began by showing us various peices of her fabulous 3D work and she explained the different techniques of producing the shapes. We were then asked to chose what we would like to work on and Robyn supplied us with the Merino wool and all the help and advice we needed. 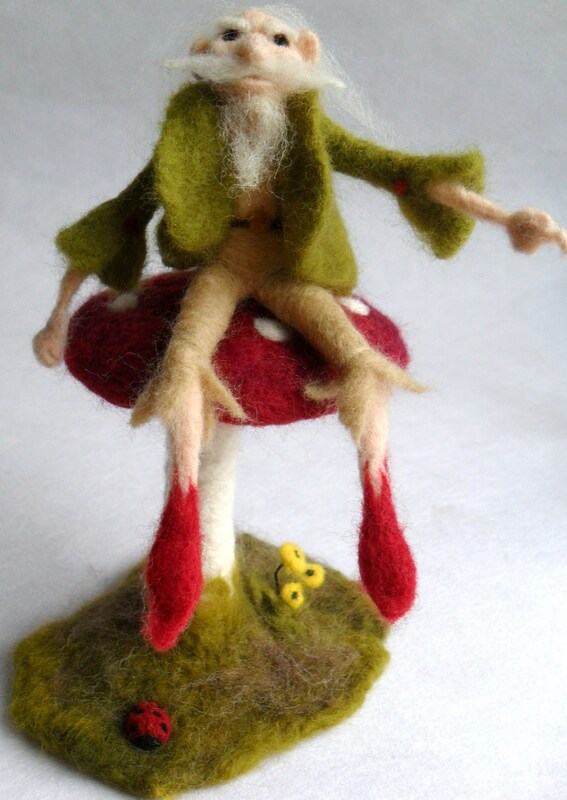 One of the peices we were shown was a tiny toadstool which immediately took me right back to my childhood and the many hours I spent drawing toadstools and elves! 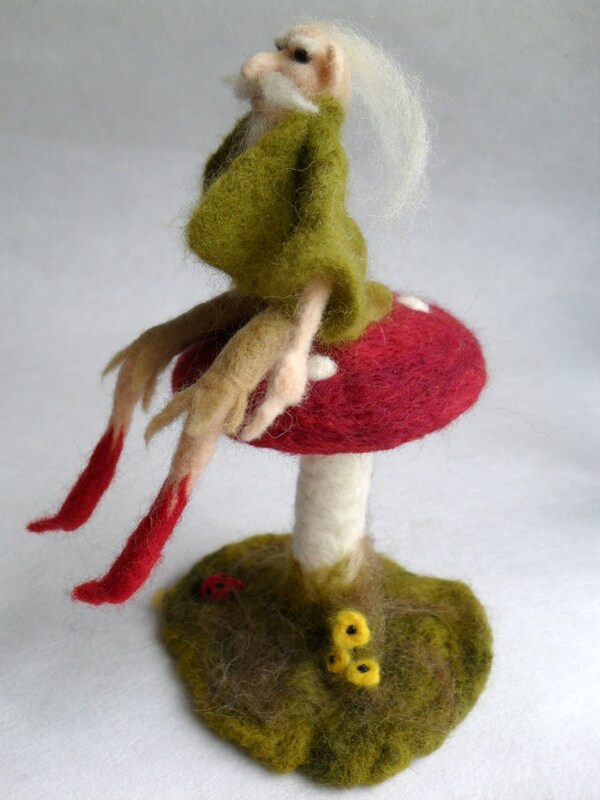 The workshop lasted four hours and it took me all that time to do the basic toadstool and elves body but I loved every minute of it. Sunday afternoon I was in my element – adding the details including the tiny flowers and the ladybird and putting features and clothes onto the elf. 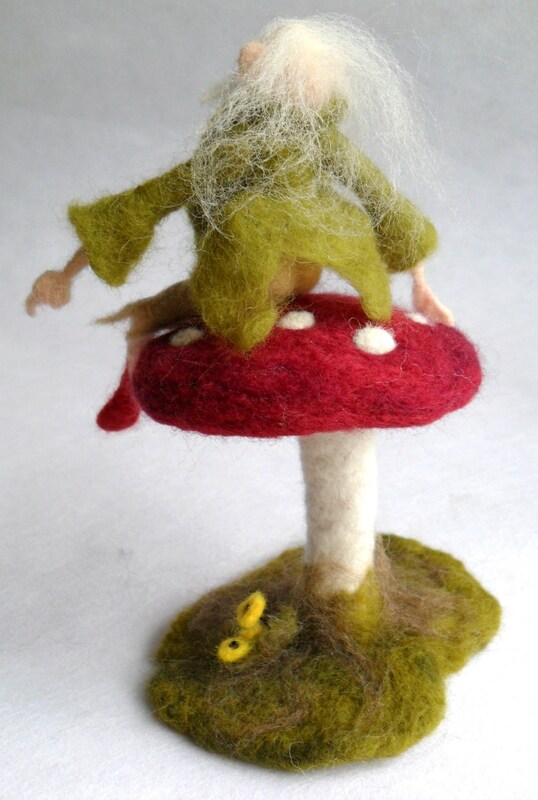 I was so pleased with the result….I am now even more hooked on felting, if that’s possible.! !